It’s safe to say that Christmas is well underway here in beautiful downtown Gettysburg. The day after Thanksgiving, we welcomed the man himself, Santa Claus, to downtown Gettysburg for the town’s 3rd Annual Tree Lighting ceremony where he magically lit our 30’ Christmas tree located in the town square. Hundreds came to experience the joy and splendor of the night, sipping cocoa on our front porch, and giving children the experience to meet Santa face to face in his Shanty, his home away from the North Pole, where he can be visited all month. This past weekend the entire town came together for our first ever Christmas Festival. The Majestic Theater had a free showing of “It’s a Wonderful Life”, we offered a turkey dinner special in One Lincoln and we hosted our 15th Annual Breakfast with Santa event with over 1,000 in attendance! By far, Breakfast with Santa has to be my favorite events. Kris Kringle arrived bright and early on a firetruck and was greeted by a crowd of children in front of our hotel. Shortly thereafter, he greeted the children one by one, each child in awe of the man with the big white beard. They innocently came to him, requests in hand, while our volunteer photographer captured the special moments. Because we’ve hosted this event for so many years, we have had the opportunity to see children grow up before our eyes. We have one girl specifically that’s come every year who must be about 14 years old now. It’s been such a delight watching her grow up and while we understand that she may be hitting the age where Santa may not hold the wonder for her, we love that there have been other children too who experience the magic of the season year after year. 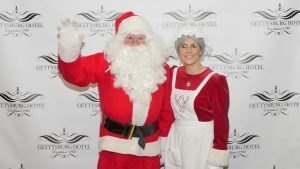 If you’re planning for next year, mark your calendar for December 6-8, 2019 to experience the festival, with our 16th Annual Breakfast with Santa taking place the morning of December 7th. So much has happened already this holiday season and it’s just the beginning! We’ve spent the last week decorating our hotel for your enjoyment with beautiful garlands and wreaths adorning our porch, Christmas trees in every meeting room and my personal favorite, our nutcracker tree located just outside of the bar entrance to One Lincoln. 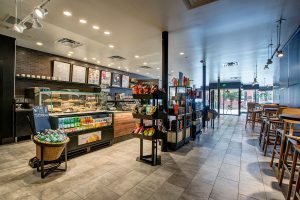 Our brand new Starbucks is also now open with convenient access through our beautifully decorated Atrium. All of your seasonal favorites are here, including my recommendations of Peppermint Mocha and Gingerbread Latte, though Meg would entice you with the classic hot cocoa. The space is warm and inviting with lounge chairs in the front where you can lose yourself in a good book or enjoy the bustling downtown with shoppers rushing about collecting their holiday treasures. 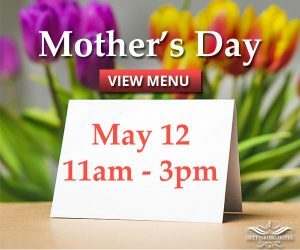 If you prefer a heartier meal to a winter beverage, we would be honored to welcome you into One Lincoln, our hotel’s restaurant, which offers upscale comfort food, a relaxed atmosphere and beautiful views of downtown through our large windows overlooking the stunning town square. For those who prefer tapas, I’d suggest you check out the 12 Tastes of Christmas, a walking food tour throughout downtown Gettysburg. Enjoy the unique cuisines and take in the sights, sounds, and aromas of each location along your way. If a shopping adventure is in order to cross off those last minute gift needs or hard to buy for friends, then stay with us while you browse the specialty shops that are all within walking distance of our hotel. The Nerd Herd has gifts for every age, including puzzles, games, mind-teasers and novelty items. Codori’s on the Square imports beautiful treasures from all over the world, including splendid items such as Russian nesting dolls and Egyptian perfume bottles. Artworks, Lark, and Gallery 30 are three other unique specialty shops featuring predominantly handmade wares from local and international vendors. Once shopping is finished, we suggest partaking in some of the other special events our town has to offer. December 14th, Tuba Fest takes place on the front steps of our property. Tuba players from across the country descend upon our small town to show us how powerful and beautiful various Christmas carols can sound when played on these shiny instruments. Throughout the month, you’ll find that local churches want to fill our streets with the love of the season and will carol throughout town in various locations. Perhaps, if you take a snow-laden carriage ride through town, you’ll encounter these singers and can join in song, even if just in your heart. If history is more your style, I suggest you visit the Eisenhower National Historic Site and take a tour of President Eisenhower’s home. See how Mamie Eisenhower decorated for the holidays in the 1950s, their White House Christmas cards, and pick up a print of one of President Eisenhower’s paintings for that history buff on your shopping list. 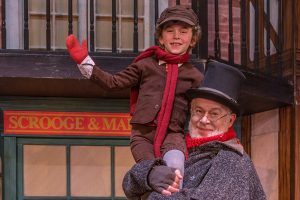 The Majestic Theater is gracing Gettysburg once again this year with multiple live performances of Dickens’ “A Christmas Carol”. I had the opportunity to see the performance two years ago, especially enjoying the Ghost of Christmas Future, and walked out full of hope in the goodness of man, especially in this holiday season. Experience it for yourself when you see the play live, running from December 14th through 23rd. At the end of the month, we will usher in the New Year! 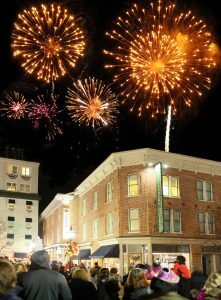 If you want to ring in the New Year Gettysburg style, do it with us! Our 5-course dinner, hopping party and midnight champagne toast is only the start. Don’t forget about the fireworks display that can be seen above our hotel and the cozy room you’ll have to retire to at the end of the night. Book a suite so you can snuggle close to your sweetheart in front of the fireplace and enjoy a romantic night, ushering in what is sure to be the best year of your life. 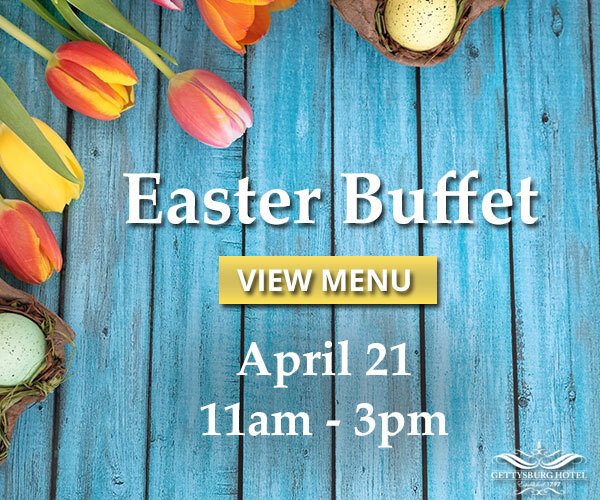 Reservations are still available, but they’re going quickly, so be sure to call our front desk today. 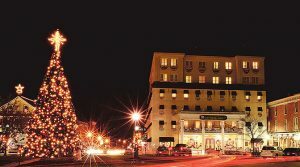 I welcome you to Gettysburg and our hotel and hope you can join us for some or all of the festivities of this season!